GREAT FALLS, Montana, March 30, 2017 (ENS) – Six environmental groups today sued the Trump Administration for what they allege is “illegally approving a cross-border permit” for TransCanada’s proposed Keystone XL tar sands pipeline. On Monday, a tribal coalition and a U.S.-Canada environmental coalition filed suit to block the permit. In their complaint the plaintiff groups contend that the U.S. State Department acted in violation of the National Environmental Policy Act and the Administrative Procedure Act by relying on an outdated “stale” and incomplete environmental impact analysis and by arbitrarily reversing its earlier decision to deny a cross-border permit for the same project. 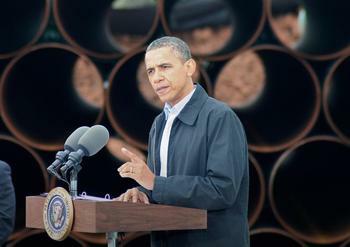 In November 2015, then President Barack Obama rejected TransCanada’s cross-border permit application, saying that the pipeline was not in the national interest. The Keystone XL permit was signed by Under Secretary of State for Political Affairs Thomas A. Shannon, Jr. on March 23 on behalf of the Trump administration. Trump, who referred to climate change as a “hoax” in December 2013 and backed the Keystone XL pipeline during his campaign, signed a presidential memorandum January 24 inviting TransCanada to re-apply for the cross-border permit. He ordered the U.S. State Department to complete its review of the application and issue a decision within 60 days of receiving the application. Today’s lawsuit in the in U.S. District Court in Montana’s Great Falls Division was brought by the Natural Resources Defense Council, Northern Plains Resource Council, Bold Alliance, Center for Biological Diversity, Friends of the Earth and Sierra Club. The officials named in the lawsuit are Thomas A. Shannon, Jr., Under Secretary of State for Political Affairs, and Secretary of the Interior Ryan Zinke. If it is ever built, the plaintiffs argue, Keystone XL would be one of the world’s largest crude oil pipelines. Every day, it would move up to 830,000 barrels, equal to 35 million gallons, of tar sands crude oil 1,700 miles from Hardisty, Alberta, Canada to Steele City, Nebraska. There, Keystone XL would connect to existing pipelines to reach Gulf Coast refineries. Much of the refined oil would be exported to foreign countries. “In the years since the Obama Administration conducted an environmental review of Keystone XL and rejected it, the case for the tar sands pipeline has only deteriorated as low oil prices are causing major oil companies to flee the tar sands, and new studies show that both the climate impacts of tar sands development and the environmental impacts of tar sands spills are worse than we knew,” argues Anthony Swift, NRDC’s director of the Canada Project within the nonprofit organization’s International Program. “By ignoring all of these developments and arbitrarily reversing the rejection of Keystone XL, the Trump Administration violated laws intended to ensure that we only moved forward on decisions that serve our nation’s interests, based on the best information available,” wrote Swift today. “An objective view of that information leads to one conclusion: a project that would move 830,000 barrels of carbon intensive tar sands from Alberta through the U.S. breadbasket is not in the our interest and should be rejected,” he wrote. The plaintiff groups argue in their complaint that, the State Department’s 2014 Environmental Impact Study, EIS, “grossly underestimated the pipeline’s impacts on the rate of tar sands development, concluding that substantially the same amount of tar sands would likely be mined, transported, and refined regardless of whether Keystone XL were built. That conclusion is wrong: Keystone XL will enable the mining, transport, refining, and consumption of millions of additional gallons of tar sands crude oil per day and cause significant environmental harm that would not occur otherwise. The 2014 EIS also downplays or ignores other significant environmental impacts of Keystone XL, including harms to land, air, water, and wildlife, the plaintiffs claim. “This dirty pipeline is a loaded gun pointed at our climate and some of America’s most vital water supplies, and we won’t let Trump pull the trigger,” said Kierán Suckling, executive director of the Center for Biological Diversity. “This arrogant administration wants to ram this massive pipeline through with zero consideration of oil-spill risks or the immense harm Keystone will do to endangered wildlife. But Trump’s alternative facts and contempt for our environment won’t stand up in court,” said Suckling. 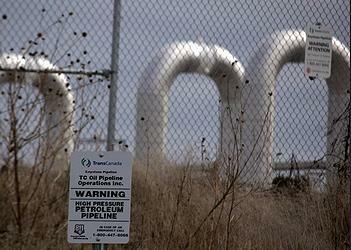 There are also several other legal actions underway to stop the Keystone XL pipeline. The Indigenous Environmental Network and North Coast Rivers Alliance Monday filed for an injunction against Trump’s Keystone XL Pipeline permit, also in U.S. District Court in Great Falls, Montana. This lawsuit alleges that the State Department’s Final Supplemental Environmental Impact Statement fails to: provide a detailed and independent Project purpose and need, analyze all reasonable alternatives to the Project, study the Project’s transboundary effects, disclose and fully analyze many of the Project’s adverse environmental impacts, formulate adequate mitigation measures, and respond adequately to public comments. This suit alleges that the Trump administration’s Keystone XL permit violates the Endangered Species Act, the Migratory Bird Treaty Act, and the Bald and Golden Eagle Protection Act. However, an investigation by the State Department’s Inspector General concluded in 2014 that the agency did not violate conflict-of-interest rules with the selection of Environmental Resources Management to conduct environmental assessments of the proposed Keystone XL pipeline project. “President Trump is breaking established environmental laws and treaties in his efforts to force through the Keystone XL Pipeline, that would bring carbon-intensive, toxic, and corrosive crude oil from the Canadian tar sands, but we are filing suit to fight back,” said Tom Goldtooth, executive director of the Indigenous Environmental Network. 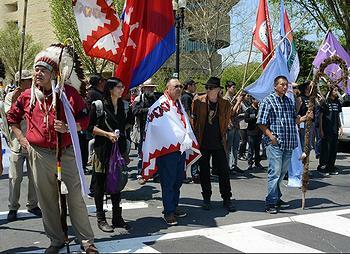 “Indigenous peoples’ lands and waters are not here to be America’s environmental sacrifice zone. For too long, the US Government has pushed around Indigenous peoples and undervalued our inherent rights, sovereignty, culture, and our responsibilities as guardians of Mother Earth and all life while fueling catastrophic extreme weather and climate change with an addiction to fossil fuels,” said Goldtooth. “The time has come to keep fossil fuels in the ground and shut down risky extreme energy projects like the tar sands that are poisoning our families, wildlife, water sources and destroying our climate,” he said. “Oil, water and fish do not mix. KXL poses an unacceptable risk to the Missouri River and its fisheries, including the nearly extinct Arctic grayling,” said Frank Egger, president of the North Coast Rivers Alliance, an association of conservation leaders from the western and northern United States and Canada. TransCanada must also get approval from Nebraska regulators for the part of the pipeline that will cross that state, under which lies the Oglalla Aquifer. The aquifer supplies drinking and irrigation water to much of the U.S. Midwest. The company said on February 16 that it had submitted its application to the Nebraska Public Service Commission, PSC. This approval process could take months as it faces opposition from pipeline opponents. That fight is already gearing up. Today, TransCanada filed a motion with the Nebraska Public Service Commission, arguing that Bold Nebraska / Bold Alliance, as well as the Ponca Tribe of Nebraska, Yankton Sioux Tribe, Nebraska Sierra Club and 350.org, should not be allowed as official “intervenors” in the PSC’s review of the company’s application for a permit to build its proposed Keystone XL pipeline in Nebraska. TransCanada also faces litigation in South Dakota over permits issued by that state’s Public Utilities Commission for the project in 2010. “TransCanada will continue to engage key stakeholders and neighbors throughout Nebraska, Montana and South Dakota to obtain the necessary permits and approvals to advance this project to construction,” the company said in a statement. As a result of the Trump administration’s permit approval, TransCanada said it has discontinued its $15 billion North American Free Trade Agreement arbitral claim against the United States over the Obama-era cross-border permit denial. The company also said the permit approval means it will end its suit against the United States in Texas federal court over the Keystone XL rejection.